This show was broadcast February 8, 2011. 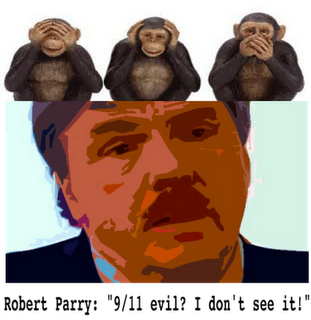 Investigative journalist Robert Parry’s vapid attack on the 9/11 truth movement has elicited spirited responses from Jim Fetzer and Kevin Ryan. As a friend of both Ryan and Fetzer, I don’t see why their valuable critiques of Parry’s willful ignorance should be eclipsed in yet another “so and so is a disinfo agent” squabble. 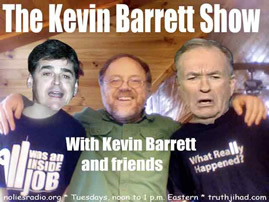 I have contacted both of them; Jim Fetzer has confirmed he will join me during the first half hour; Kevin Ryan has been invited to do the second half-hour, or to appear on an alternate date if he wishes. HOW TO TAKE DOWN ANY ORGANIZATION: U.S. INTEL AGENCIES NO LONGER NEED TO INFILTRATE CIVILIAN GROUPS TO DESTROY THEM, AS THE INFIGHTING WITHIN THE GROUPS IS DOING THE WORK FOR THE U.S. GOVERNMENT’s EFFORTS. This entry was posted on Monday, February 7th, 2011 at 9:02 pm	and is filed under 9/11, Disaster Capitalism, Econo, False Flag/Fake Terror, Kevin Barrett, Martial Law, Mind Control, News, Protest, Surveillance, War Crimes. You can follow any responses to this entry through the RSS 2.0 feed.